Making significant changes in your child’s diet is one of the single most effective actions you can take on your own to begin to help your child. Dietary issues play a major role in the onset of certain health and behavioral symptoms, and the alteration of diet can play a primary role in healing. Often, one of these diets will be sufficient – however, some kids will need a combination of these diets for them to be maximally effective. For instance, the GFCF diet may have to be combined with the Specific Food Reaction Diet, where the child eliminates both gluten, casein and foods that he or she is allergic to. Healing the New Childhood Epidemics: Autism, ADHD, Asthma, and Allergies: The Groundbreaking Program for the 4-A Disorders by Kenneth Bock, MD, has an excellent chapter detailing all five of these diets and how to implement them. Doctors have generally overlooked the connections among the 4-A disorders. For years the medical establishment has considered autism medically untreatable and utterly incurable, and has limited ADHD treatment mainly to symptom suppression. Dr. Bock and his colleagues, however, have discovered a solution that goes to the root of the problem. They have found that modern toxins, nutritional deficiencies, metabolic imbalances, genetic vulnerabilities, and assaults on the immune and gastrointestinal systems trigger most of the symptoms of the 4-A disorders (Autism, ADHD, Asthma & Allergies). This diet is the most popular diet currently being used with great success for many kids on the spectrum. Many people have found that almost every child with a spectrum disorder benefits from it. Many parents have reported that their child’s chronic diarrhea stopped, especially when any current yeast infection was treated at the same time. Other parents report that potty training was finally achieved within a few weeks after beginning the GF/CF diet. As well, many parents claim that their children are better able to concentrate, and show improvements in their learning abilities, as a result of this diet. They also report significant improvements in sleep patterns, behavior patterns, language, focus, eye contact , and a decrease in “stimming” in their children. It is recommended that parents start the process of a gluten/casein free diet slowly. 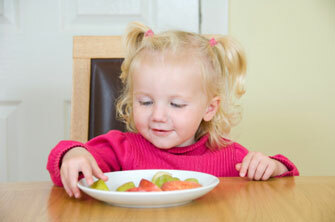 Most often, parents find that removing casein, or milk products, from the diet is easier than the removal of grains. Many parents report seeing physical, emotional and even cognitive changes within a few days after removing dairy from the diet. Urine tests reveal that casein can be removed from the body within 3 days after the diet, but gluten can stay in the body for months longer. Hence it is recommended that the diet be followed for a minimum of 3 – 6 months before determining whether it has been successful. Most parents wonder what they are going to feed their children if they are eliminating dairy products and most grains from their children’s diet. The majority of spectrum disorder children have very limited diets, and often they seem to be addicted to the very foods they need to stay away from. The Kid-Friendly ADHD & Autism CookBook by Pamela Compart, M.D., and Dana Laake is the perfect cookbook for parents who have kids with behavioral or developmental challenges, or are just picky eaters. Simple, delicious, and fun recipes that battle symptoms related to ADHD and autism. This book comes in hardcover and is 352 pages. This edition features an additional 100 new recipes. A very useful book that offers great-tasting recipes and tips for implementing special diets is: Special Diets for Special Kids, Volumes 1 and 2 Combined: Over 200 REVISED and NEW gluten-free casein-free recipes, plus research on the positive ... ADHD, allergies, celiac disease, and more! by Lisa Lewis, PhD. This helpful book is loaded with lots of recipes and tips to simplify the use of a special diet to help children and adults with autism, ADD/ADHD, allergies, and celiac disease. Thank you for visiting our page on Autism Diets and Cookbooks!